Working with a geographically distributed team doesn't mean you can't build strong connections with colleagues. Rich Butkevic, PMP, CSM, Project Management and Transformative PMO Leadership - Certifications include PMP, CSM, AWS, RUP, and more. The right strategies and tools can help you build relationships with coworkers across the country or around the world. A modern office doesn’t reside between four walls. Modern offices are expansive, abstract entities that span the globe. Most project managers are going to be working with people that they’re never going to meet. People from other countries and cultures — people with other values and goals. How can you build a strong working relationship with someone that you’ll never meet? This isn’t just a thought experiment — it’s important. As a project manager, not only do you need to develop your own relationships, but you also need to ensure that relationships are strong between team members. Strong working relationships foster trust and respect. Through a better working relationship, team members are more likely to be able to get things done. They are more able to delegate and cooperate; they are more likely to be productive and efficient. After all, a team has to operate as a team. Bringing together a team from all corners of the world can be incredibly difficult. In a traditional office, you work one-on-one with the same individuals day to day. You talk about their kids and their families. You have lunch with them. These are all highly personal things that build strong relationships and a professional fondness. Remote team members don’t have this luxury; they can’t connect with each other on that level. In some ways, that can be beneficial; it creates a relationship that is purely professional. But it can also be a powder keg. Without that professional fondness, competitiveness and animosity can easily arise. “Small talk” doesn’t have to be a dirty word. While businesses often frown upon it, it’s really quite important; it gives you key insights into other people and builds camaraderie. There’s a reason why the most successful, powerful entrepreneurs and CEOs try to get “face time” when they’re networking. It’s because dealing with someone on a personal level is more likely to get them to see you in a positive light. In turn, that makes them want to work harder for you and with you. Try to take some time during meetings to catch up with everyone. Though it has to be kept professional, there’s nothing wrong with some lighthearted banter before and after a meeting, or personal inquiries one-on-one regarding how someone is doing. Take an interest in their personal lives: did their child win an award recently? Did they go on a fantastic vacation? Above all, remain courteous and professional. Remote workers tend to start resenting each other when they can’t get in contact with each other. It’s difficult when people are working out of the office, but it can seem impossible when everyone is on a different time zone. You can resolve this by creating a culture of connectivity, starting with you. Be clear about when you can be contacted and where. Make sure there are multiple points of contact, from instant messenger to email. Above all, be consistent in your responses. If team members know it will take 2 to 4 hours to get a response from you, they will understand. If they never know whether they’ll get a response in 5 minutes or 5 days, they may get frustrated. When trying to connect with your own team members, ask them which methods of communication they prefer. Some people prefer to get a call; others prefer to get an email. Everyone knows what disrupts their work flow best. Technology matters when you’re creating a remote office. Creating a consolidated system where everyone logs in, views documents, chats, and communicates is a great first step towards developing a “team feel.” If your organization doesn’t already have a consolidated system in place, you may want to suggest that it gets one. Systems that create virtual office spaces make it easier for employees to work on the same documents without interrupting each other. Team members are able to connect with each other more easily and operate within something that feels as though it’s a shared space. Further, they can see when everyone else is online and they can coordinate their efforts more effectively. 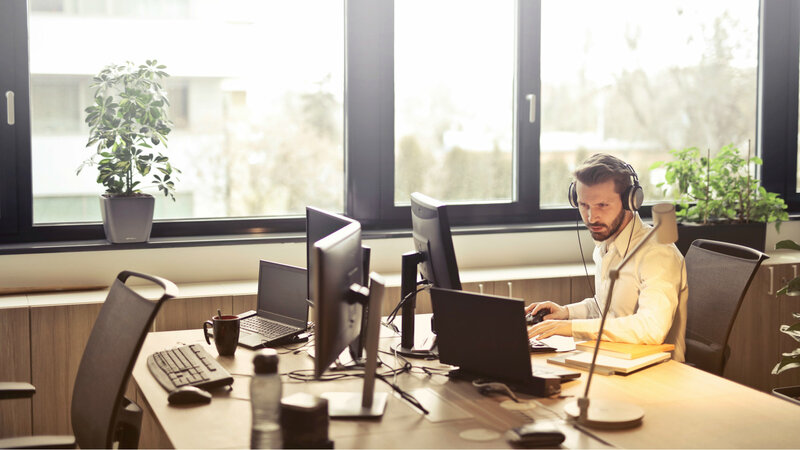 Virtual office spaces improve productivity as well as camaraderie, because employees don’t need to look for the documents and the data they need. They can also substantially improve security, because you can protect your data. Some people are very adept and conveying themselves through text. Others, not so much. When in doubt, make sure that your meaning is properly expressed through clarification — and even emoticons. Emoji are becoming a corporate standard now, as they can take away from the dry formalness of proceedings. With just a couple more sentences, you’ve introduced yourself in a friendly way, and made it clear that you want to support them in the endeavor. Now it’s much harder for them to misinterpret your words. It’s even become acceptable to use emoticons. Apart from all of the above, keep in mind that you may be working with team members who have cultural differences from your office and your other team members. Remaining open-minded is the best way to forge new relationships. Don’t be afraid to ask polite, professional questions, but refrain from any judgment. Regardless of where people come from or what their beliefs are, they all have the same goal: to work together on a team and to get the job done. If you’re having problems developing your relationships with your team members and colleagues, the best thing to do is try to talk to them more one-on-one. Repeated interactions tend to forge familiarity and bonding, as long as they remain positive ones. Over time, you’ll find that your relationships with your team members will grow organically, and you’ll be able to fall in “sync” when working together on projects. Rich Butkevic possesses a unique combination of leadership positions in project and product management, quality assurance, business analysis, marketing, and training. With a demonstrated expertise in managing multiple functional areas both domestically and offshore, he excels at utilizing Agile and SCRUM methodologies for large Enterprise level projects across diverse industries. He brings a practical knowledge of a wide variety of applications and possesses expertise in PMO process development, cloud infrastructure, billing and payment processing, CRM, quality assurance, web development, content management systems, energy management information, environmental compliance systems, and more. Certifications include: Project Management Professional as awarded by the Project Management Institute, Certified Scrum Master as awarded by the Scrum Alliance, IBM Certified Specialist in Rational Unified Process, AWS Certified Developer as awarded by Amazon Web Services, and Certified E-Marketer, awarded by the E-Marketing Association.